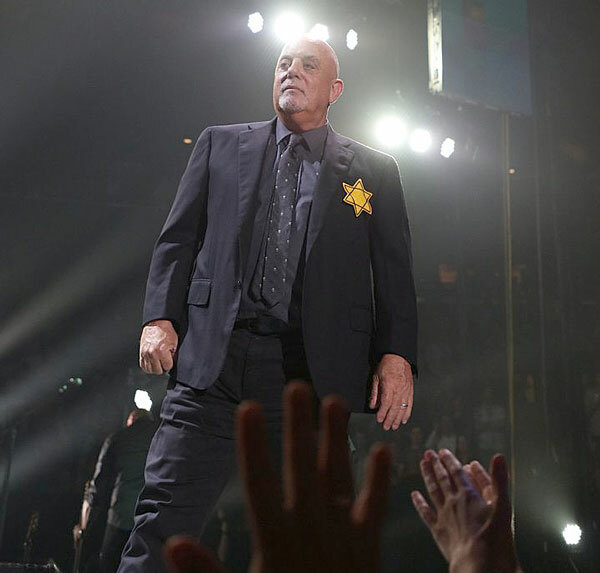 The Jewish World | Billy Joel wore a yellow Jewish star. Thanks, but the trend should stop there. NEW YORK CITY (JTA) – Few artifacts of the Holocaust move me like the yellow star. Homely and seemingly innocuous, they sit in museum cases either by themselves or still attached to a jacket or blouse, the stitching rough and the lettering surprisingly crude. They are almost comically, cartoonishly blunt, a child’s idea of how to single out and shame an enemy. And in their bluntness and homeliness they make vivid the obscenity that was Nazism, the way a single bloodstained feather on the sidewalk conjures a vision of the violence that produced it. His wearing the star should have been the wrong thing to do in so many ways. 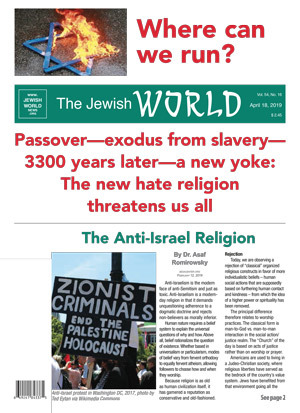 Jewish groups are always worried about appropriations of the Holocaust and carefully designate the boundaries of acceptable Holocaust analogies (that is, none). 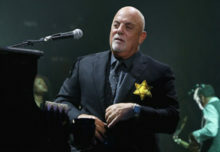 The same week that Joel wore his yellow star during the encore at one of his regular Madison Square Garden gigs, the fashion house Miu Miu discontinued a clothing line that featured a yellow star that was only reminiscent of what the Jews were forced to wear (the World Jewish Congress had complained). Earlier this month, the Donald Trump mouthpiece Jeffrey Lord lost his commentary job on CNN essentially for calling one of Trump’s liberal critics a Nazi (and presumably casting Trump’s defenders in the role of the Nazis’ victims). 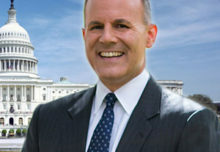 But if any Jewish group had a complaint about Joel’s gesture, I haven’t heard it. The singer’s gesture came across as sincere and pointed, not tasteless. “Thank you, Billy for reminding people what was … so it may never ever be again,” she added. 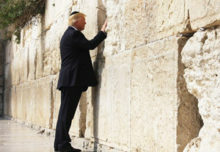 Although Joel has never made much of his Jewish background, he has talked of his father, a German-born Jew who, according to Joel’s biographer, had vivid memories of the Hitler Youth and SS training near his childhood home in Bavaria, and who lost relatives in the Shoah. Contrast that with another celebrity’s decision to wear the star. When Nev Schulman, star of MTV’s sort-of reality show “Catfish,” wore a yellow Star of David at MTV’s video awards show on Sunday, Aug. 25, the gesture, while well meaning, seemed forced. I don’t think anybody wants the yellow star to become this year’s AIDS ribbon or Livestrong bracelet. 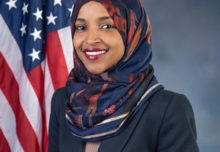 The wearing of the yellow star seems the kind of gesture that can be made once, or sparingly, lest you diminish its shock value or begin to insult the experiences and memory of the people you are purporting to identify with and honor. But at least Schulman, like Joel, is Jewish. I can’t think of a non-Jewish celebrity who could get away with wearing the star. They’d be accused, rightly, of appropriation, the way the artist Dana Schutz was excoriated by black folk after her painting of the mutilated face of Emmett Till — a 14-year-old who was lynched by white men in Mississippi in 1955 — was shown at the Whitney Biennial in March. Critics of Schutz’s painting said the circumstances and symbolism of the black teenager’s death are still too raw to be translated by a white woman into art. That’s not to say (or at least I wouldn’t say) that only members of a particular ethnic group or religion can depict their own suffering. (What is widely considered the most powerful anti-lynching song, “Strange Fruit,” was written by a Jew, Abel Meeropol, although it was Billie Holiday who sang it most famously.) But certain gestures of interethnic solidarity—“Anne Frank, c’est moi”—are landmines. Writers from William Styron to Yann Martel have been accused of cheapening the Holocaust through allegory or by universalizing the Jews’ suffering. Jewish artists like Art Spiegelman or Agnieszka Holland are given the latitude to depict the Holocaust in ways that might seem misguided or offensive if done similarly by a non-Jew. Authenticity can be earned, although it’s a lot easier to be born with it. If this were 1941, the answer would be yes—everyone should wear it. In 2017, everyone should at least imagine what it would be like to be persecuted because of their race, religion or nationality, and what it might feel like to be literally marked for death. I think that’s the kind of empathy Joel tried to inspire.